Since our inception in 2004, Panther Motors has built the ScootCoupe for commercial users, utilizing commercial grade construction and mechanical components. Scooter rental shops across the country have embraced the ScootCoupe as the vehicle of choice in the rental market due to its design appeal, safety features and durability. 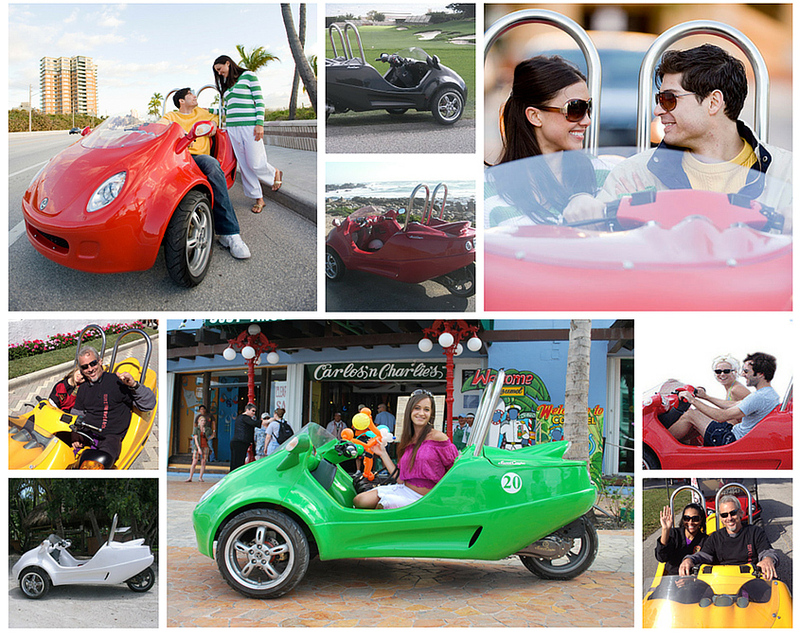 Upon opening the first rental outlet in Deerfield Beach,Fl, in 2005, the ScootCoupe has spawned a cottage industry of profitable rental companies in virtually every resort town in the US. We continue to improve our products annually with the highest technology available. Optional waterproof Smartphone and MP3 amps-speakers are available to equip the Scootcoupes with stereo quality tunes- keeping customers in the cars longer and driving revenue, just plug in your iPod and listen to your favorite songs while you drive. Our fleet owners asked for it and its ready now… ScootCoupe, miles ahead of the competition. To open a ScootCoupe rental business in your area or to add ScootCoupe to your existing rental company, Contact us for fleet pricing and find out why we are the leader in the resort rental market.